The pinnacle of serenity, inspirational design, sophisticated luxury, and the splendor of a brilliant white sandy beach with turquiose waters, is the Setai. This magnificent 40 story structure has transformed the Miami Beach landscape with its sensual, Zen like, presence, unprecedented minimalist Asian design, and luxurious five star services and amenities. The Setai’s oceanfront, central South Beach location, is a destination infused with cosmopolitan, cultural, and pleasure seeking activities. Originally the 1930’s Art Deco Dempsey Vanderbilt Hotel, the legendary hotelier Adrian Zecha reopened the “East meets West” Setai Hotel Condominium Resort in 2005. 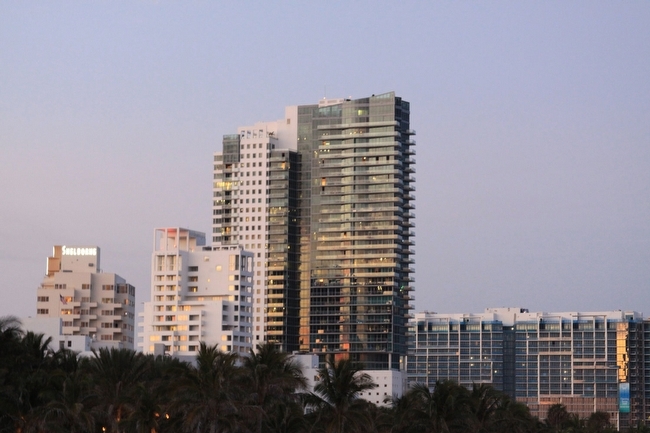 The Setai combines 163 ultra-luxury, high rise tower residences and spectacular Atlantic Ocean, Miami Beach, and the Miami skyline views, and an eight story, 88 room, 5 star Condo Hotel. The one to five bedroom luxury residences, town homes and lavish PH’s range from 847 – 6000 square foot and feature floor to ceiling windows, nine foot ceilings, smart technology, Subzero refrigerators, Miele appliances, black granite countertops, custom teak cabinetry, luxurious baths with granite flooring, and spacious balconies to enjoy the panoramic views. The Setai Hotel, expertly managed by world-renowned GHM (General Hotel Management), offers 24-hour room service, concierge, valet parking, high speed elevators, and optional maid and laundry services. Luxurious resort amenities include Asian minimalist artworks, rich teak flooring, a lobby walled in imported bricks from Shanghai, tropical gardens, state of the Art Fitness Center with personal trainers, Pilates, and yoga, the lavish Setai Spa overlooking three 80 foot pools set at different temperatures embraced by towering palms, and a poolside beach bar and sundeck leading out to the tropical beach. In addition, a gourmet restaurant, casual grill, and a bar nestled between the lobby and the enchanting tropical courtyard grace the property. The Setai Residences has set the standard in South Beach luxury since its inception. With 5 star amenities, three incredible infinity pools, full beach and pool services, world class spa and fitness facilities, three restaurants and 24 hour room service, it encompasses the best of all worlds. This spacious one bedroom features floor to ceiling glass affording fabulous ocean, golf course and intracoastal views. Situated on the 27th floor, this designer unit has a large open terrace, wonderful light, ample closet space and a smart and efficient floorplan. Located in the Arts District of South Beach, it is close to the Bass Museum, the convention center and Lincoln Road; and all this convenience and luxury is nestled directly on the warm white sands of the Atlantic Ocean. Experience the best of South Beach at the luxurious ocean-front Setai Residences. Enjoy all the five-star amenities Setai resort offers, including three pools and lavish gardens. This spacious Zen influenced 1,316 sf interior, 06 line, is beautifully designed and furnished, has wood floors. large master bath, and Top-of-the-line kitchen with Miele and Subzero Appliances. 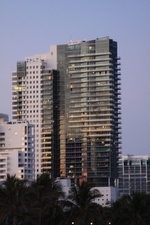 Enjoy both breathtaking SE ocean and downtown Miami skyline views from interior and large balcony. Owned by renowned artist, Chuck Close, condo features his art which is included in purchase price. When not using this residence, derive income in the Setai hotel rental program. Hotel approved Furniture Package. Exquisite & elegant decor, teak wood floors & doors. Beautiful ocean, beach and city views, south exposure. The place to stay & be seen among the stars & celebrities. One of the Leading Condo/Hotels in the world. 3 infinity pools, world class spa & restaurants. In room dining, concierge, enjoy full service at the pool & beach. THE SETAI IS THE PROUD RECIPIENT OF THE 2019 FORBES TRAVEL GUIDE FIVE-STAR HOTEL AWARD. THIS AWARD PUTS THE SETAI AMONG THE FINEST HOTELS IN THE WORLD. Also THE SETAI HAS BEEN REWARDED WITH THE PRESTIGIOUS TRAVEL & LEISURE READER'S CHOICE AWARD, NAMED THE #1 RESORT IN MIAMI BEACH. AVAILABLE NOW!! !Exquisite & elegant decor, teak wood floors & doors. Beautiful ocean views, north east exposure. The place to stay & be seen among the stars & celebrities. One of the Leading Condo/Hotels in the world. 3 infinity pools, world class spa & restaurants. In r oom dining, concierge, enjoy full service at the pool & beach. THE SETAI IS THE PROUD RECIPIENT OF THE 2019 FORBES TRAVEL GUIDE FIVE-STAR HOTEL AWARD. THIS AWARD PUTS THE SETAI AMONG THE FINEST HOTEL. NAMED #1 HOTEL IN MIAMI BEACH. Seasonal rent is the statarting from rate. Price depends on dates and lenghth of stay.